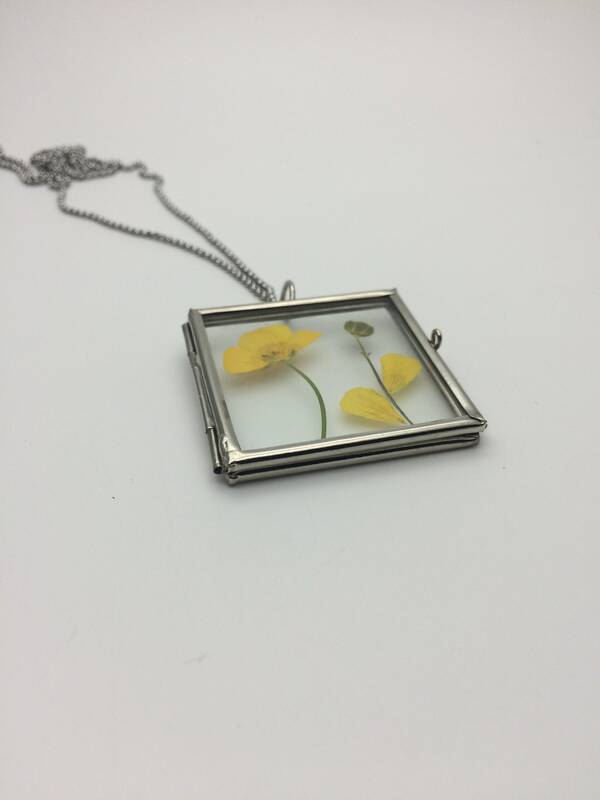 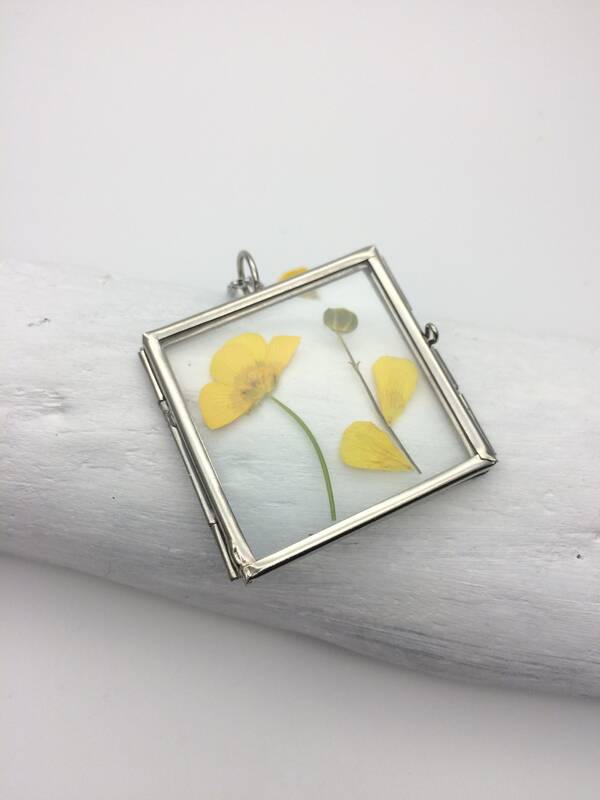 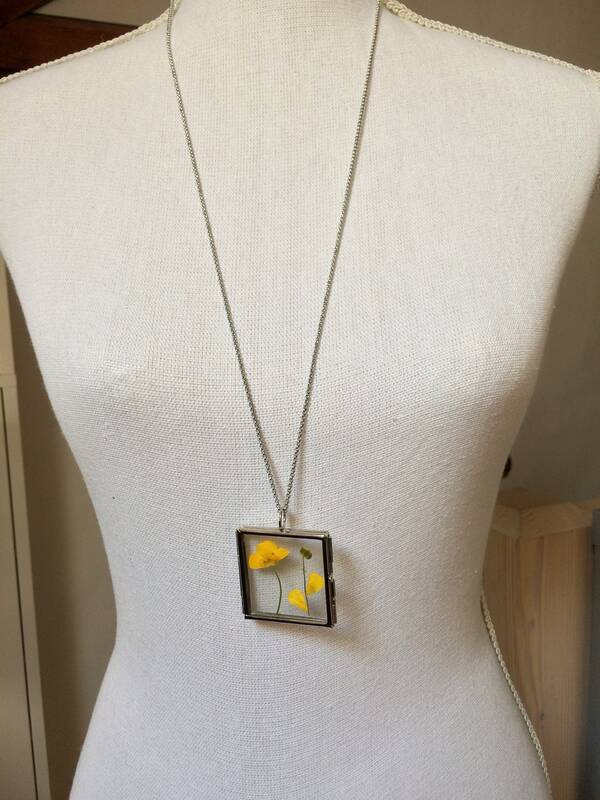 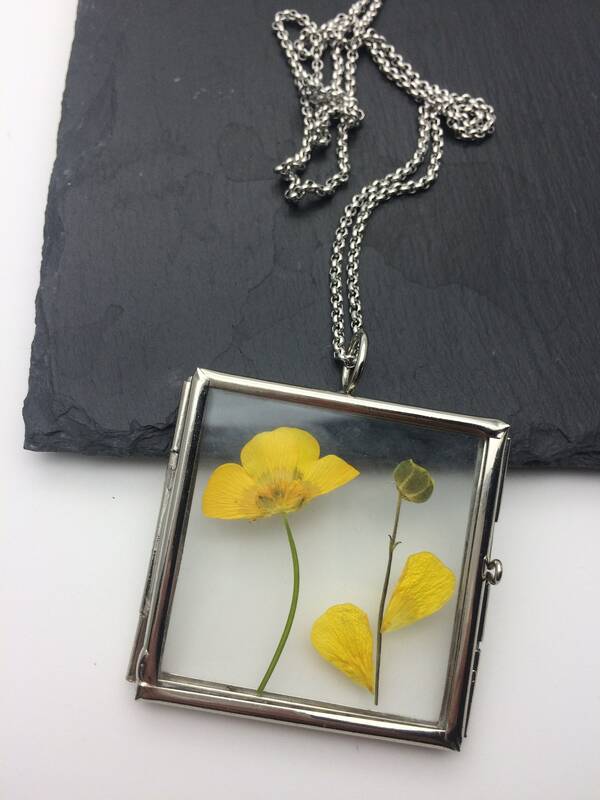 Handmade Silver Flower Locket Square, Glass Pendant frame with Yellow Real Dry Pressed Wild Flowers and stainless steel chain. 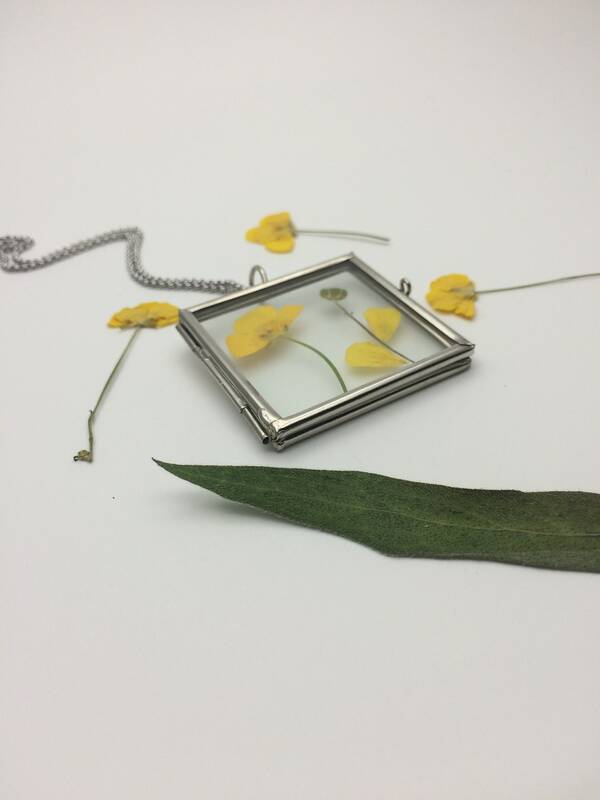 One of a kind Natural herbarium boho necklace pendant. 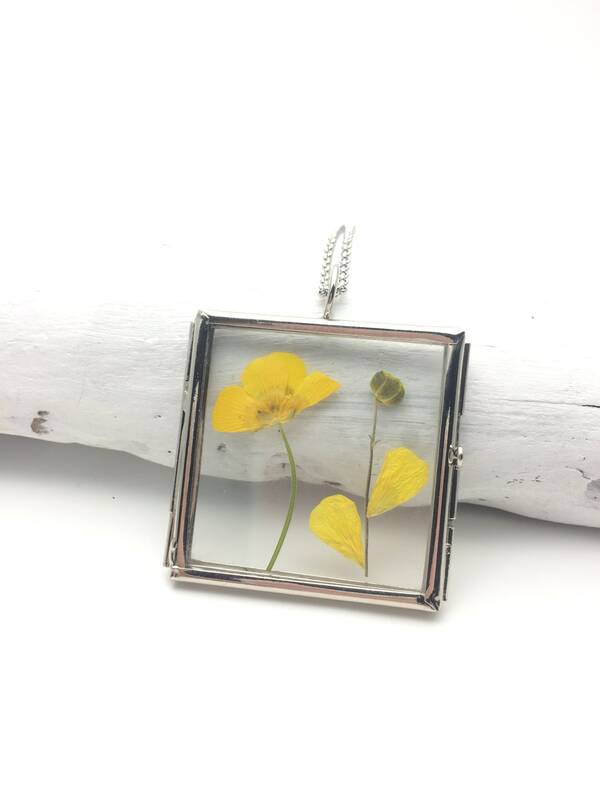 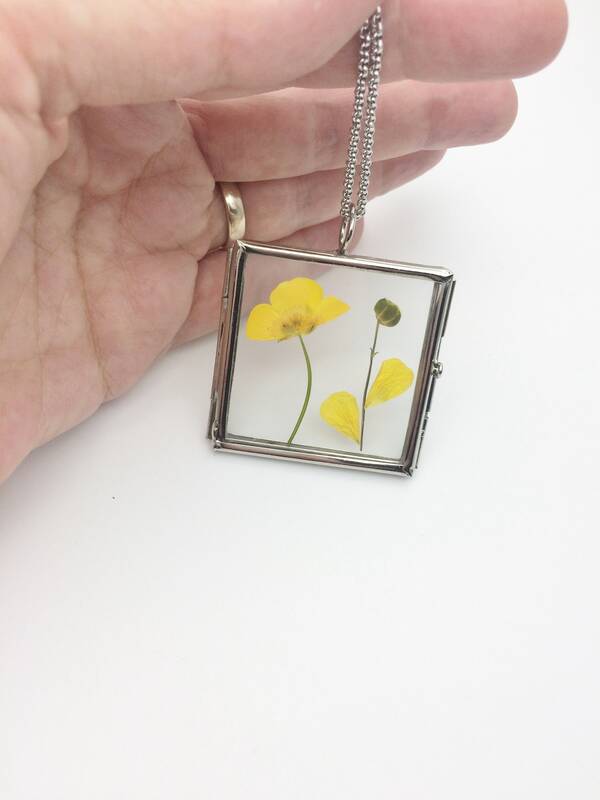 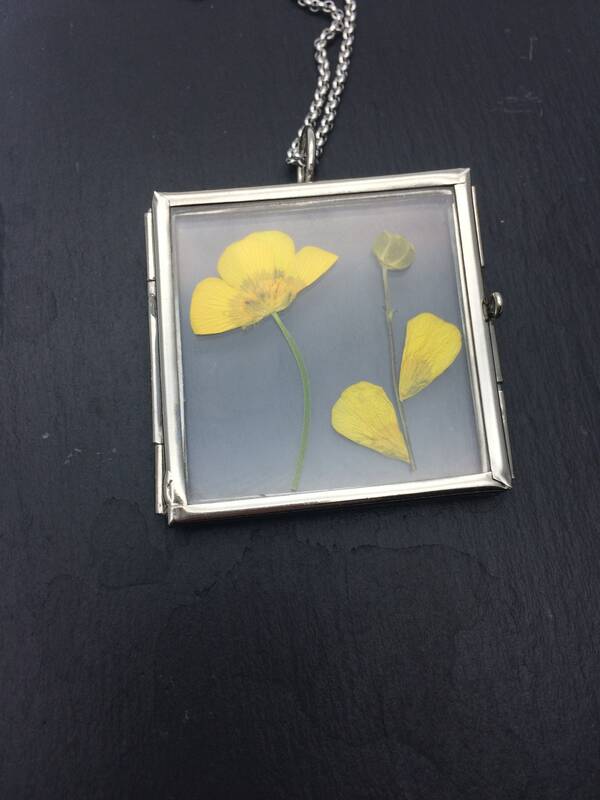 I made the pendant with real yellow flowers (buttercups) - wildflowers picked close to my home in the countryside :) I pressed and dried the flowers and I put them in a pendant square locket made of glass and silver metal, combined it with a 316L silver stainless steel chain with lobster clasp. 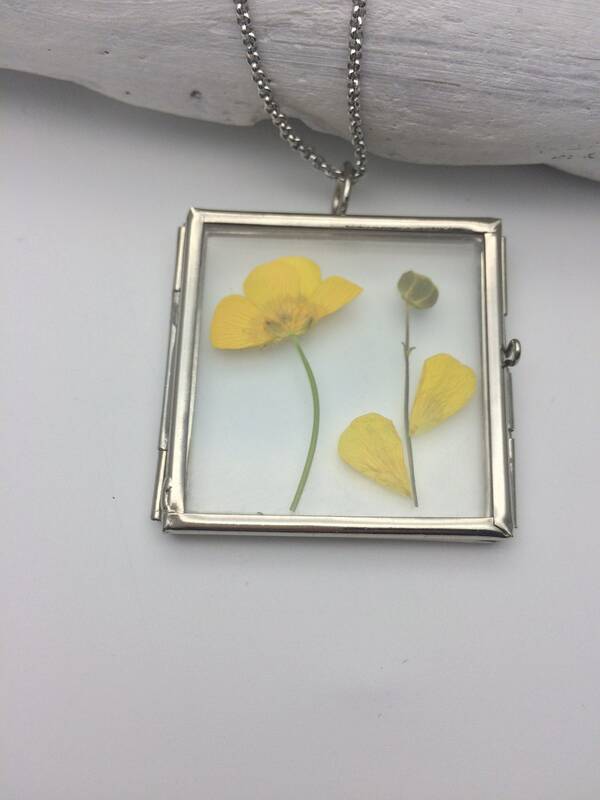 I later closed the locket. 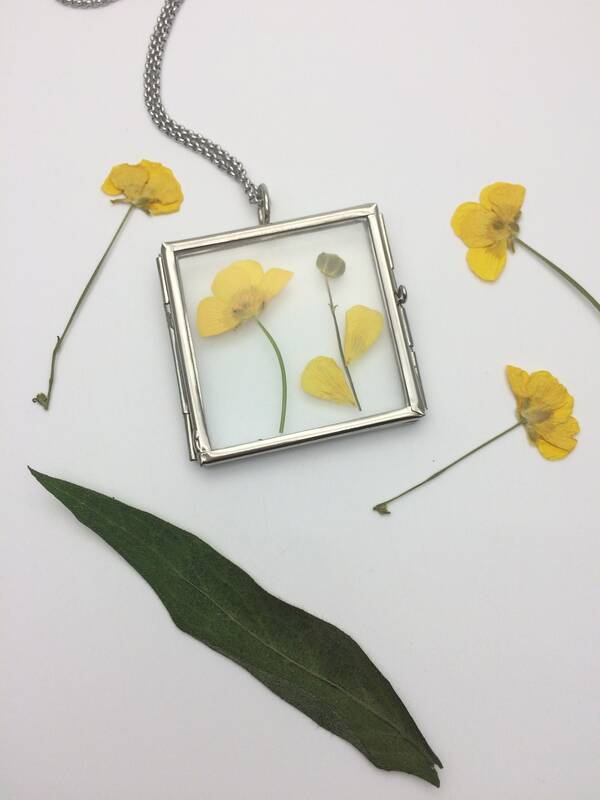 It can be opened but I do not recommend it, because the flowers are fragile and even if they are well fixed, they could fall or be damaged.